I told oldest son Brian (aka “Big Bro” around here) that I would post a garage update yesterday, but I never got around to it. Sorry, Brian!! I left off the updates with the Garage Bungle post. That actually did turn out to be a real bungle, but they did fix it. Sorta. As best they could after having laid cement blocks into cement and having let it cure overnight. We were told that when they were laying the first run of bricks, someone accidentally drug a water hose over their staked line, and moved it off by about an inch. When they checked the line the next day, they realized it was off and they corrected it with the second layer of bricks. 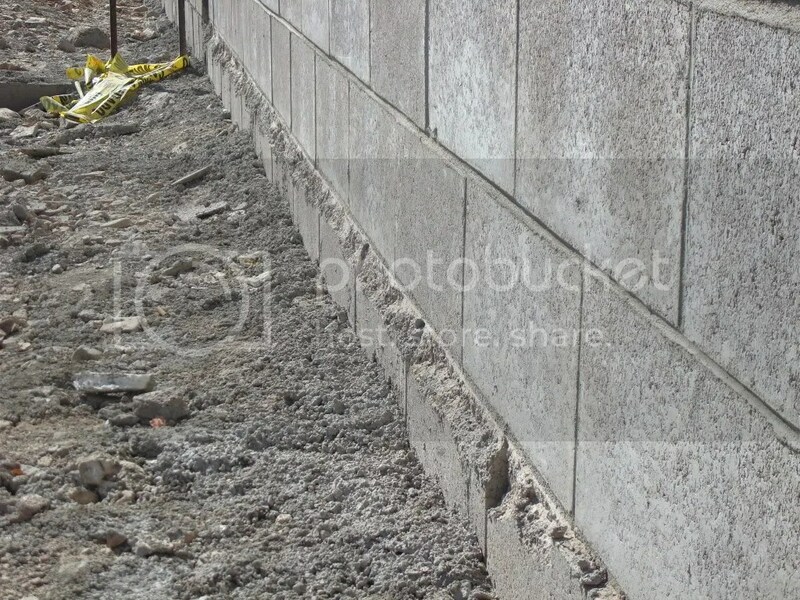 Since Mister happened to be out there when the foreman was talking to the masonry workers, Mister asked about whether this would affect the cement floor. They told him they had planned on chipping the brick edge down to prevent any cracking in the future, as that would be a very weak point in the floor. Not too sure whether they were REALLY planning on doing that if Mister had not asked the question, but it doesn’t much matter now since they’ve corrected the issue. Other than that, there really isn’t too much that’s new. They’ve completed laying the block foundation. 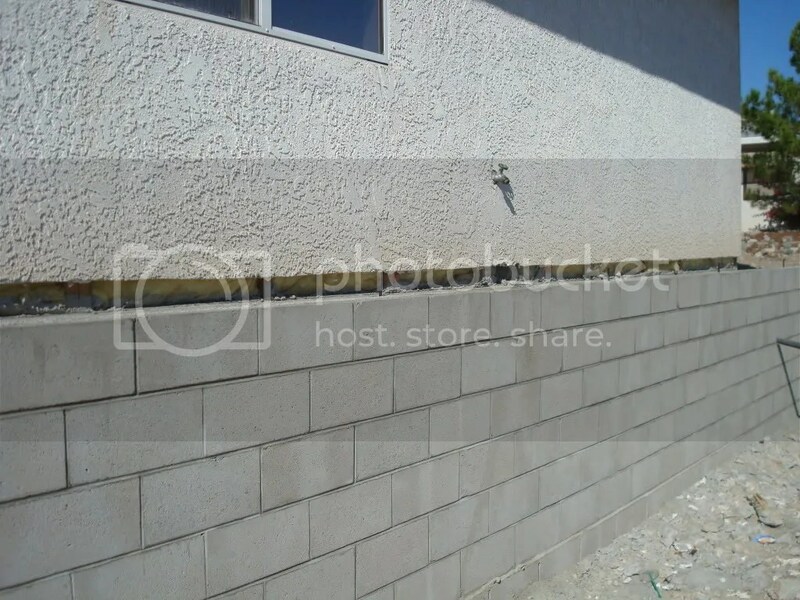 They put some sort of sealant coating around the outside, and had to wait about 5 days before they could back-fill the dirt up around the outside of the walls. They finished the back-fill on Tuesday morning, and today they are getting rid of the extra dirt-mound outside. 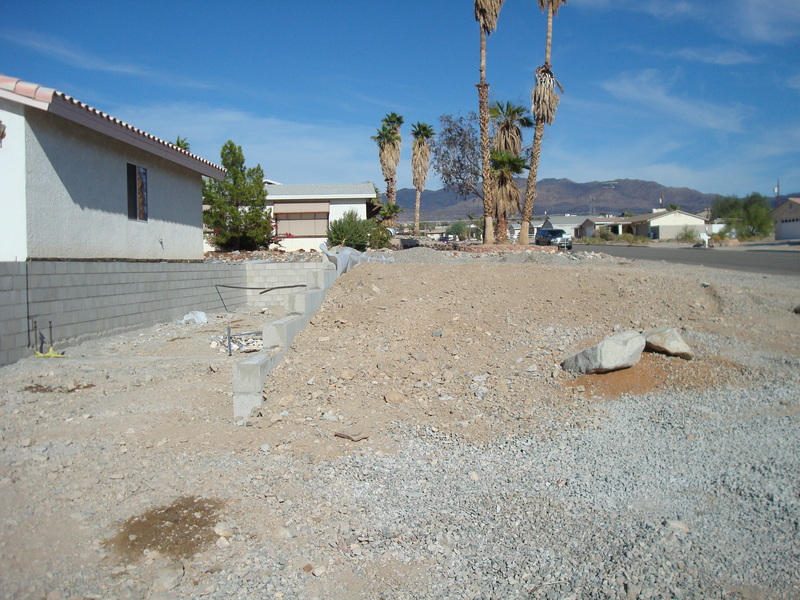 They will be leveling out the ground within the walls so they can pour the cement pad in the next day or so. We’re not sure if they’ll be pouring the second pad for the other garage at the same time or not. They will also be removing the edge of the garage roof/eave before the pour, so that they won’t end up doing any damage to the cement. After that, they should be taking off stucco on the outside garage wall and then the wood framing will start going up! So we should be seeing some more progress really soon! 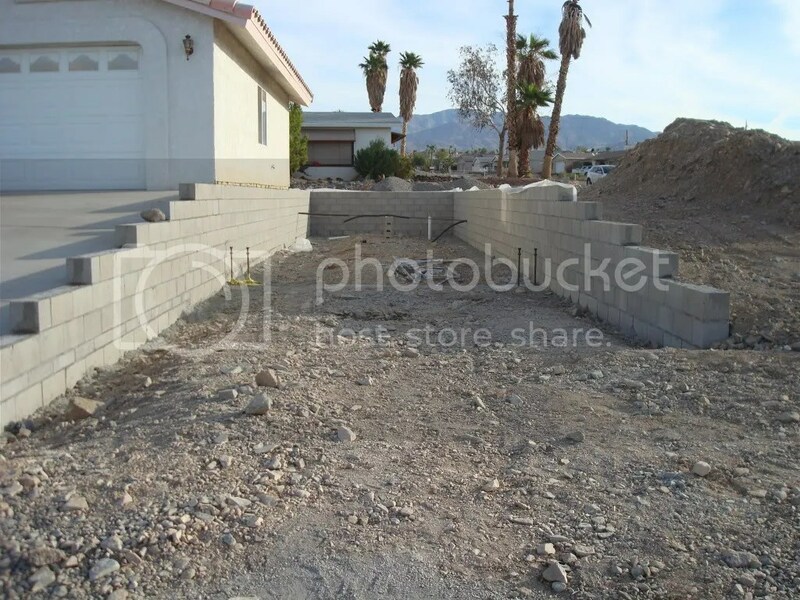 Finished brick foundation wall on existing garage side of the house. 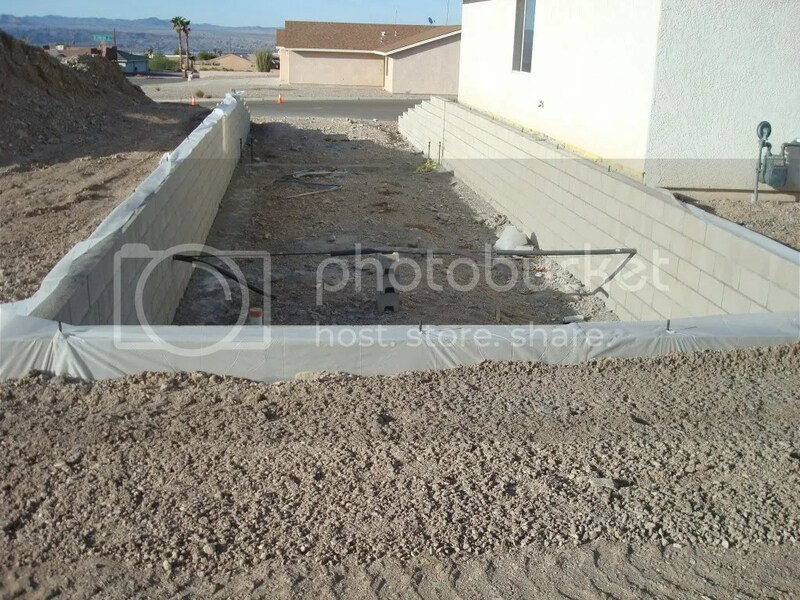 They now have to remove the rest of the existing garage wall in order to frame up the new garage wall. Back-fill is done, and now we're ready for cement floor prep! Something special happened on May 7th…MAY 7TH! I’m ready to see some framing and slabs!!! !